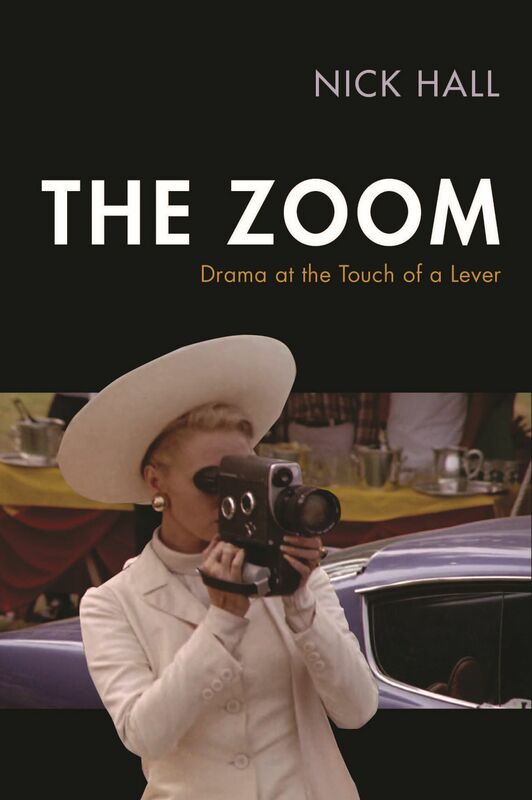 One of the major thrusts of my doctoral project is to examine the history of the zoom lens in postwar American film and television, in order to give a more nuanced account of why zoom shots became fashionable for a short period during the late 1960s and early 1970s. Up until now, hardly anything has been written about the significance of zoom lenses in early American television, and how zoom techniques acquired in the 1940s and 1950s might have made their mark on later theatrical filmmaking. Yet we know that some of the directors and cinematographers who completed their best known works in the 1960s and 1970s – people like John Frankenheimer, Robert Mulligan, Robert Altman, and others – started their careers in television in the 1950s. So it seems like a good idea to find out how the zoom lenses used in early postwar American television were invented and marketed. I presented a short paper to this effect at an internal postgraduate research conference yesterday (for which Matt Hayler‘s organisational efforts deserve hearty congratulations), sharing some early findings from my research into the development of the Zoomar lens and the ways in which it was used in early American television. On the technological side of the story, I discussed how the lens was developed in part as a civilian adaptation of military technologies. For examples of the visual impact of the lens I referred to US network television coverage of the 1952 Republican and Democratic conventions, and to an episode of the popular puppet show Kukla, Fran and Ollie. 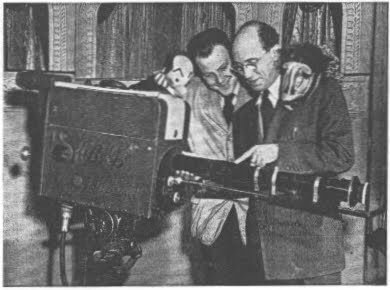 The image, from the June 1949 issue of American Cinematographer, shows zoom lens innovator Frank Back with Kukla… puppeteer Burr Tilstrom. I’m not going to post big chunks of half-finished research on my blog. But I do know that there are a few people each week who come here having searched for information about the zoom lens in Hollywood, and I’m happy to correspond and share knowledge. My email address is nick@zoomlenshistory.org.uk. I’d also be keen to hear from you if you have professional experience of working in the television or movie industry at any time from the 1940s through the 1970s. Your insights could be invaluable. I started working in TV in 1967 at KOSA TV channel 7 in Odessa, Texas. At that time the station had two black and white cameras One was equipped with a set of turret lenses the other had a zoom lens. The Zoom was operated with a rod. You pushed in the rod to zoom in and you pulled out to zoom out. Thus the terms “push in” or “pull out” are still used by some directors to this day. To focus the image you would zoom in all the way on the object and turn the rod until the image was sharp and clear then you pulled out the rod all the way and turned the nob on the side of the camera this physically moved the IO tube back and forth until the image was back focused. If anyone needs information about the early days of local TV production I would be glad to share with them. I currently work at KENW TV in Portales, NM as a production consultant. A vintage television zoomar lens is actually on sale at Michigan state University surplus store. They are asking for $400. ← Is that a zoom on your camera, or are you just pleased to see me?